Fundraising events help support temple activities. The Fundraising Committee is comprised of representatives from each group within our congregation that raises money, Fundraising Event Chairs and other interested members of the congregation. The committee develops, implements and analyzes all fundraising events with a focus on exceeding established fundraising goals. Would you like to honor, wish a speedy recovery or remember a friend or loved one? Donating to Gracious Gifts is the perfect place. Your donation to the Temple will be truly appreciated and you choose the fund you would like your tax deductible gift to be given to. 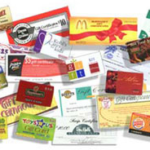 Give a big gift to Temple Etz Chaim simply by using SCRIP to purchase all the gift cards you’d buy anyway! The temple earns a percentage of each and every card sold! We’ve made it easier for you to go online and order from hundreds of choices. Click here to learn how and happy shopping! When shopping on Amazon, go to smile.amazon.com and choose “Temple Etz Chaim” (of Franklin, MA). You’ll find the exact same shopping experience as Amazon.com, with the added bonus that Amazon will donate a portion of the purchase price to TEC. Don’t throw away those empty ink and toner cartridges. Drop them off in the bin at temple and let us recycle them. 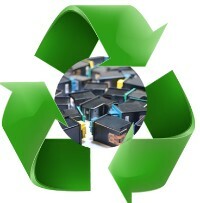 We earn $$$ for each recycled cartridge.